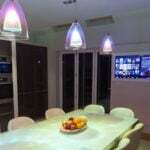 Increase your revenues with the leading home automation installers in London. Over the past several years, countless electricians across the country have enjoyed winning more work and increasing their revenues by joining forces with us as part of our successful co-op system. Now’s your chance to do the same. Become a Pro Install AV preferred partner today, and you could soon be earning thousands in commissions, with no long-term commitment necessary and no financial outlay required. Ready to start enjoying greater turnover and earning huge commissions on every single project? Talk to us today about joining our successful partnership program for electricians. Call now on +44(0)20 7096 0078 or get in touch online. Working with Pro Install is the simple and easy way to increase your revenues with no outward investment. Simply use us directly or recommend us for home automation installations or multi room AV systems, and we pay you a commission on every successful project. Our experts can manage and supervise first-fix works before providing equipment and installation support for all second-fix jobs. Our partnership with the world’s biggest names home automation, audio visual, and lighting, enables us to offer a vast range of solutions, each one custom designed to meet the needs of your end clients. Or even a combination of these, and many other leading brands. Working hand-in-hand with you and your team, we provide complete planning and design of projects perfectly tailored to the individual project. Prefer to save time and eliminate the middle man? We can even liaise directly with your client to ensure we meet -and surpass- end user expectations. Along with providing all the documentation and hands-on training your end-clients would need to fully operate their new technology, our team also provide ongoing customer support, guaranteeing happy customers for a long time to come. Why Work With Pro Install AV on Your Home Automation Installation Projects? As an in-demand electrician or electrical engineer, you’re finding that more and more clients are coming to you for home cinema design, home automation installation, and multi-room AV projects. You could take on the work yourself, but with an ever increasing workload, not to mention the high level of specialist knowledge needed, you simply don’t have the time, manpower, or technical resources to deliver the kind of exceptional quality workmanship you’ve built your reputation on. By working with us as part of our electrician partnership program, you not only enjoy the industry’s highest rates of commision, but also the chance to really grow your business; developing your own reputation for quality home automation installations with no financial outlaw or long-term contracts. Ready to work with Pro Install AV on your next project? Interested in learning more about a long-term partnership? Get in touch with us today.